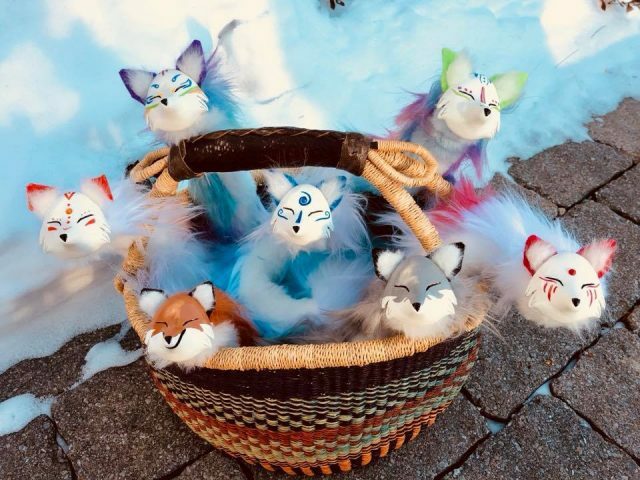 Anime Boston 2018 Preview: Pipe Fox Spirits Plush! With less than two weeks until my second-ever convention appearance at Anime Boston 2018, I wanted to take this opportunity to start previewing some of the art dolls that I’ll have at my booth at the convention! 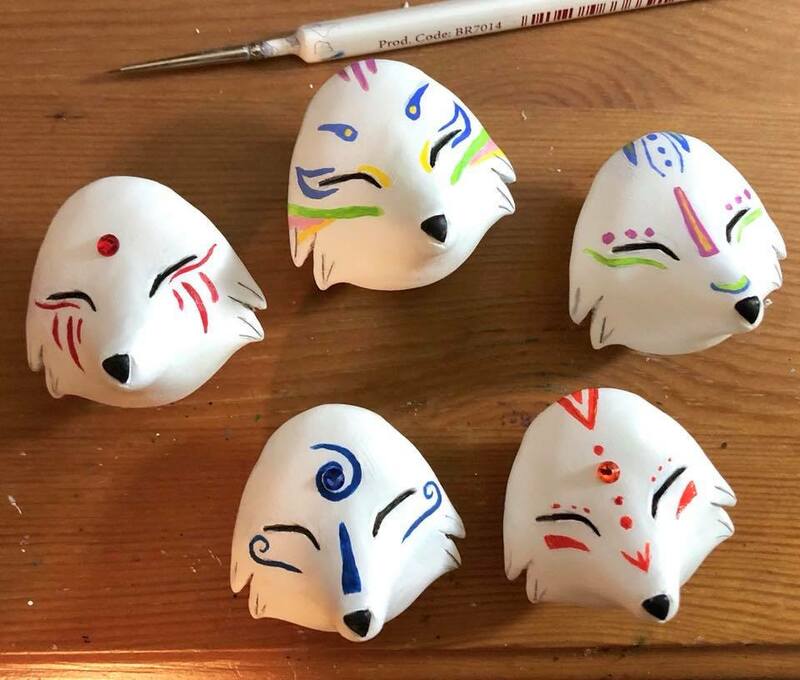 I was really taken off-guard last year with the speed with which my Pipe Fox Spirits sold out at the show, with almost all of them sold within the first few hours that Artist Alley was open. So this year, I’ve increased the number of Pipe Foxes that I’ll be bringing to the event. A few old favorites will be returning, but I’m really excited about some of the new designs that will be debuting at the show, including the Rainbow Fox Spirits plush! You can see close-ups of the paint detailing on their heads in the workshop photo below. I’m really interested to hear how people like this style of fox to determine if I should make more like this or stick to my more traditional designs. The CreatureSmith will be appearing at Anime Boston 2018 from March 30th-April 1st, 2018! I’ll post the specific booth number and map for Artist Alley as soon as that information is released, so check back soon if you want to know exactly where my booth will be so that you can plan accordingly. I’ll also be having a giveaway for a free Commission slot exclusively for our social media followers immediately after the show, so if you haven’t already, be sure to follow The Creaturesmith Facebook, Twitter Page, and/or Instagram!